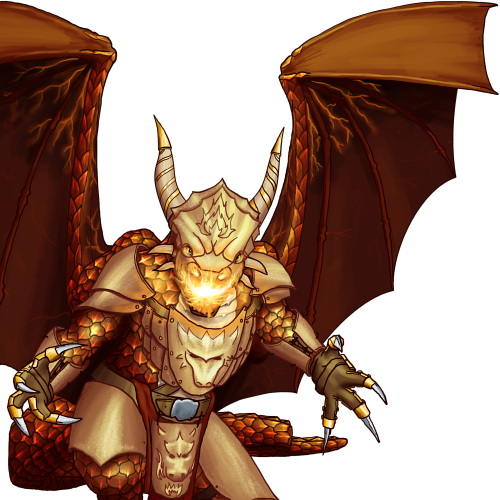 Were it not for the armor they wear, certain drakes might be indistinguishable from true dragons, at least to the lesser races for whom dragons are but legend. The creatures known as ‘Armageddon Drakes’ are towering things, both immune to and possessed of a tremendous fire. Last updated on Fri Apr 20 12:32:07 2018.